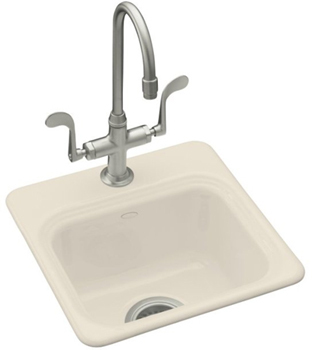 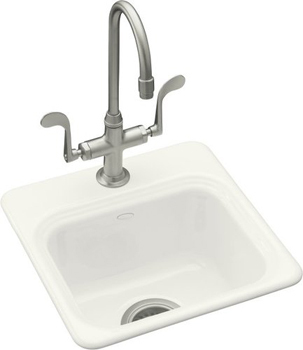 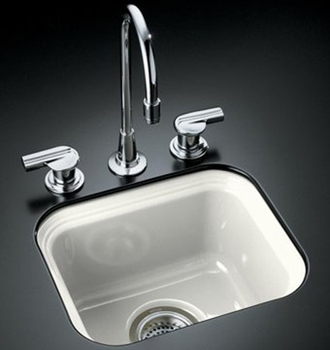 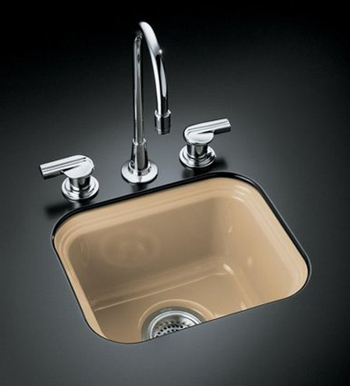 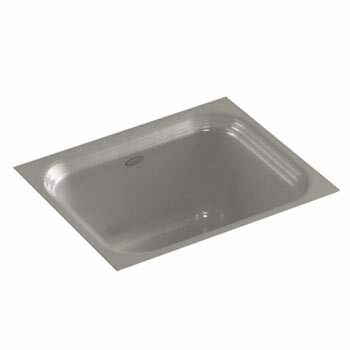 Set a standard for style with the Kohler Northland bar sink. With a sophisticated double-groove rim and convenient size, this prep sink is an ideal addition to your kitchen, bar, or other entertainment space. 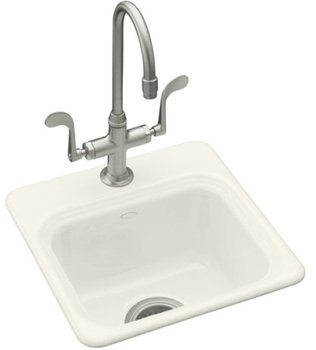 Quickly toss liquid or ice from glassware, prepare a garnish, or chill wine in this attractive basin. 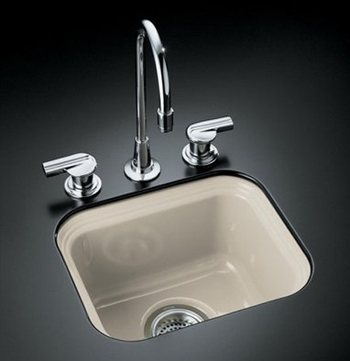 Crafted from enameled cast iron, this sink resists scratching, burning, and staining for years of beauty and reliable performance.